A new age of competition between major global powers like China, the United States and Russia leaves the world facing an unpredictable and more hostile future, the hosts of a major security conference said on Monday. Entitled “The Great Puzzle: Who Will Pick Up the Pieces?”, their report aims to set the agenda for leaders at the Munich Security Conference annual meeting from Thursday. U.S. Vice President Mike Pence is due to attend the event in the Bavarian capital, which comes after Washington said earlier this month it would suspend compliance with a landmark nuclear missile pact with Russia. 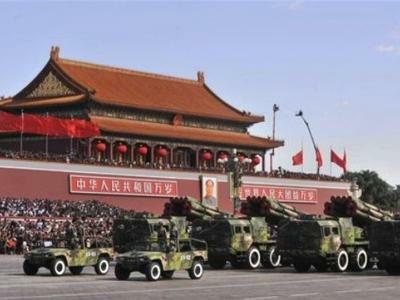 “Given the prevailing strategic outlooks in Washington, Beijing, and Moscow, expectations of a new era of great power competition are seeming to turn into a self-fulfilling prophecy,” the report read. “If everyone prepares for a hostile world, its arrival is almost preordained … The post-Cold War period – and the general optimism associated with it – has come to an end. Conference chairman Wolfgang Ischinger, a former German ambassador to Washington, urged policymakers from mid-sized powers including the European Union to do more to preserve a liberal international order. In a newspaper interview, Ischinger suggested France’s nuclear arsenal should serve the purpose of shielding the whole of the EU and not just France. This would mean EU countries would have to share the cost of maintaining France’s nuclear weapons, he told the Funke group of newspapers. Chancellor Angela Merkel, who addresses the conference on Saturday, is using her last term to focus on a foreign policy aimed at defending and refreshing multilateralism. But the report said Berlin and Paris needed to work together more effectively to boost the capacity of the “ill-prepared” EU to deal with heightened great power competition. “With domestic contexts in both capitals unlikely to become less complicated, the coming year will show whether the tandem can work out its differences or whether another window of opportunity has been missed,” the report read.